The Surface Pro 3 will be celebrating it’s first birthday tomorrow, June 20, 2015. Similar to most devices on the market today, the 1st birthday celebration signals that an update is coming soon. NOTE: Don’t forget to enter our ASUS ZenFone 2 International Giveaway! Considering that Windows 10 will be released on July 29, the release of the Surface Pro 4 will most likely be held shortly after, since the Surface Pro 4 will be released with Windows 10 in tow. 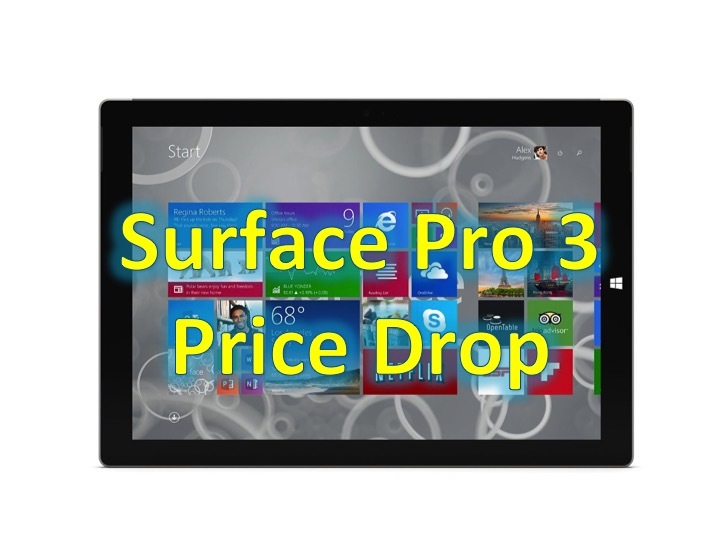 On the other hand, Surface Pro 3 price drop is here! If you’re like me, I don’t always need to get the latest and greatest, the Surface Pro 3 is now more affordable than ever. If you’re looking for an even cheaper alternative, the Surface 3 is available for $499, just depending on your needs (specs comparison).